The weather is still warm – in the 40s and 50s during the day – so I’ve been able to work outside. We did one big project together – Mike with the chain saw, and me piling sticks and squirting the stumps with roundup – to clear more of the brush on the top of Indian Grass Point. Here’s the cleared space. 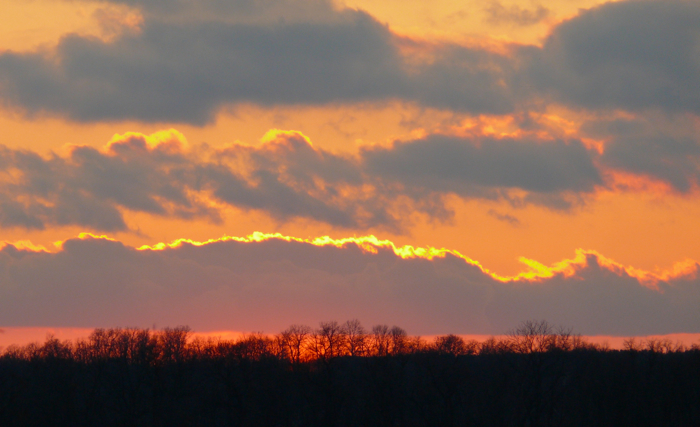 It’s fun to see places like this change as the savanna plants start to grow back. I also worked on the steep front of Indian Grass Point. I’ve been working on clearing it for the last few years, and it’s looking better and better. Prairie plants – Little Bluestem, Side-oats Grama, Hoary Puccoon, Balsam Ragwort, and Prairie Coreopsis – are all growing on the rocky point. 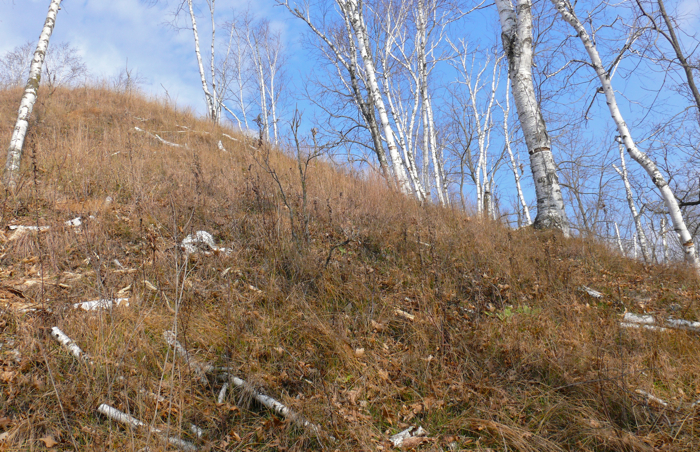 I spent a few days this week clearing out more brush under the birch trees. 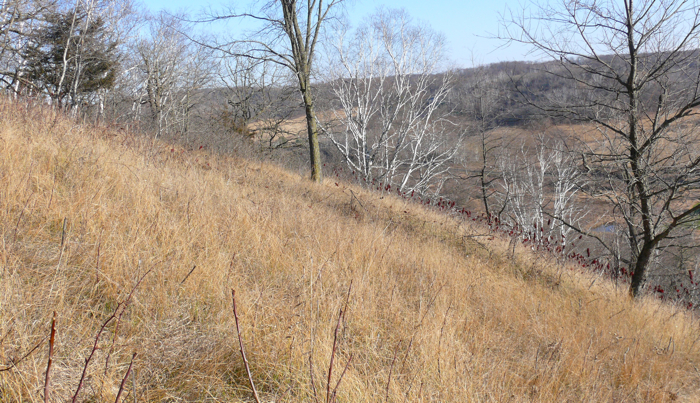 This photo was taken a few weeks ago – of the brush before I started cutting. And this is after cutting away the brush. 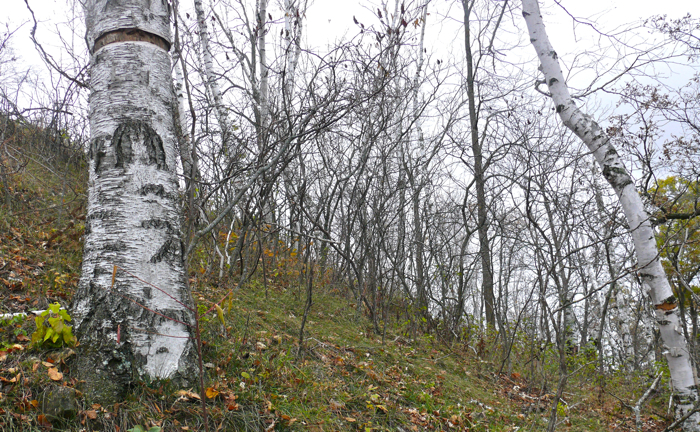 The birches have been girdled, so they’ll start dying soon, and then it will really be a prairie point. This is a good time of year to cut and poison sumac, so I’ve also been working on some of the huge Sumac areas on Sumac Prairie. It’s very steep and difficult to walk – I do most of the cutting on my knees. 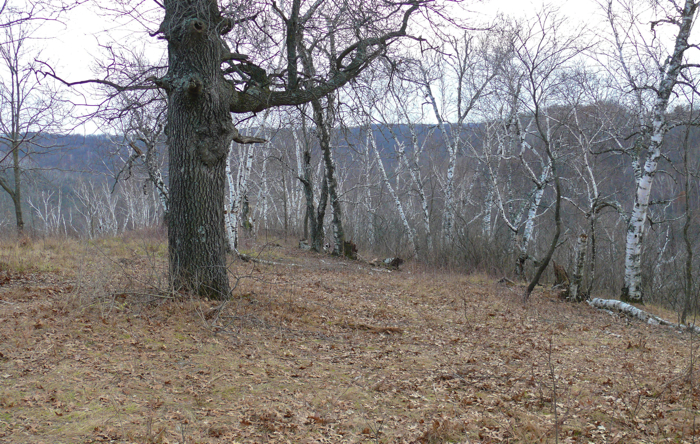 The area in the foreground is cleared but there’s still plenty of sumac left. I found some insect holes in the sandy area of Sumac Prairie – they’re about 1/4 inch across, and beautifully built, using cedar needles to line the top edge of the holes. 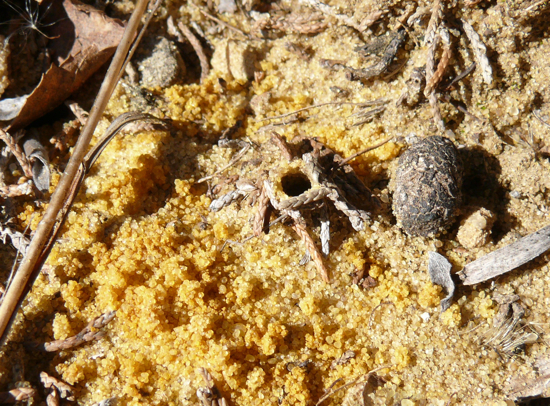 I think they’re the holes of Burrowing Wolf Spiders (possibly Geolycosa sp.). I’ll go back in the spring and see if I can find the spiders.